WASHINGTON, Aug 28 2013 (IPS) - Israel and its domestic U.S. lobby are already in the early stages of the next 10-year aid package, which would not go into effect until 2017 and will be the first since Congress passed the Naval Vessel Transfer Act of 2008, which requires in part that U.S. military aid to Israel ensure that Israel maintains its “Qualitative Military Edge” (QME) over any combination of states and non-state actors. That requirement could be an important tool in the lobbying effort around renewing U.S. military aid to Israel, for while that aid is as certain as anything can be in Washington, increasing it currently faces some new obstacles. Yet the fact that the U.S. economy remains depressed and its recovery slow has already affected aid to Israel. The sequester, or mandatory budget cuts effective earlier this year, sparked debate within pro-Israel lobbying groups about whether to push for Israel’s aid package to be exempted from the cuts. "Israel wants the extra aid but doesn't really need it." Israel cut its defence budget in 2013, and the reduction of over 820 million dollars, which is more than 25 percent of the annual aid it currently receives, might raise the question of how Israel can request increased aid while reducing its own budget. That question is bolstered by the fact that an Organisation for Economic Cooperation and Development (OECD) report issued in May projected 3.9 percent growth in Israeli gross domestic product (GDP) for 2013 and 3.4 percent for 2014. The average for OECD countries for those two years is 1.2 percent and 2.3 percent, respectively. The cuts in defence while Israel’s GDP rises are not the only contradiction Israel needs to overcome in making its case for increased aid. 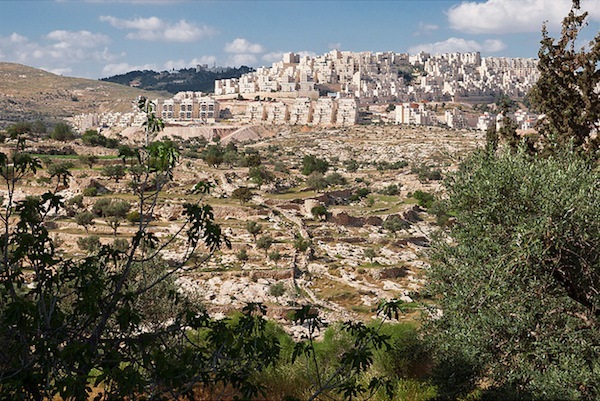 There is also the spectre of settlements in the West Bank. For years the United States has largely turned a blind eye to ongoing settlement construction in the West Bank, merely criticising them as “obstacles to peace” but taking little action to press Israel to stop their spread. But the settlements raise another question in the context of the aid request. If the United States objects to settlements and sees them as hurting peace prospects, should it not expect Israel to prioritise its own defence spending, which, given the circumstances Oren described, would seem to be more imperative, over spending on settlements? The cost of settlements is unclear. In 2005, the Israeli government commissioned an investigation into government funding of so-called “illegal outposts”, settlements established without government authorisation. The report produced from that investigation concluded that from 2000-2004, the Israeli Ministry of Construction and Housing officially spent around 20 million dollars on these unauthorised outposts. The report’s author, Talia Sasson, bemoaned the impossibility of obtaining complete information and suggested that “the actual sum considerably exceeds the one mentioned,” given that “the sum also does not include money the Ministry of Construction and Housing paid for infrastructure, public buildings and planning in unauthorised” outposts. According to Israel’s Central Bureau of Statistics, in 2011, official spending on Israeli-authorised settlements increased by 38 percent over the previous year, reaching well over 400 million dollars. The American-Israel Public Affairs Committee (AIPAC) was originally established to promote U.S. aid to Israel, a purpose that remains at the heart of its advocacy.